If you are looking for somewhere different for a day out then Ipswich is probably not going to be the first place that comes to mind. However, I’m here to tell you that you should put it on your list of places to visit as there is so much to see and do there. Within easy driving distance of both Brisbane and the Gold Coast, it makes for a great day out or even a short stay. Ipswich is Queensland’s oldest provincial city. Settlement was established in the mid 1800’s. Prior to that a limestone quarry and lime burning kiln were located there producing lime needed for building works in Brisbane. These days, new housing developments have seen a rise in the population of the area. Ipswich has become known as a very family friendly place to live. A day out in Ipswich can be relatively inexpensive, especially for families. There really is so much to see and do! The city itself is dominated by the stunning Queens Park. This is a must visit spot, especially if you have young kids. It has a mini zoo in it which is FREE! The Ispwich Nature Centre houses a variety of animals including, kangaroos, dingoes and birds. Level footpaths and boardwalks means it is easily accessible if you have a pram, stroller or wheelchair. 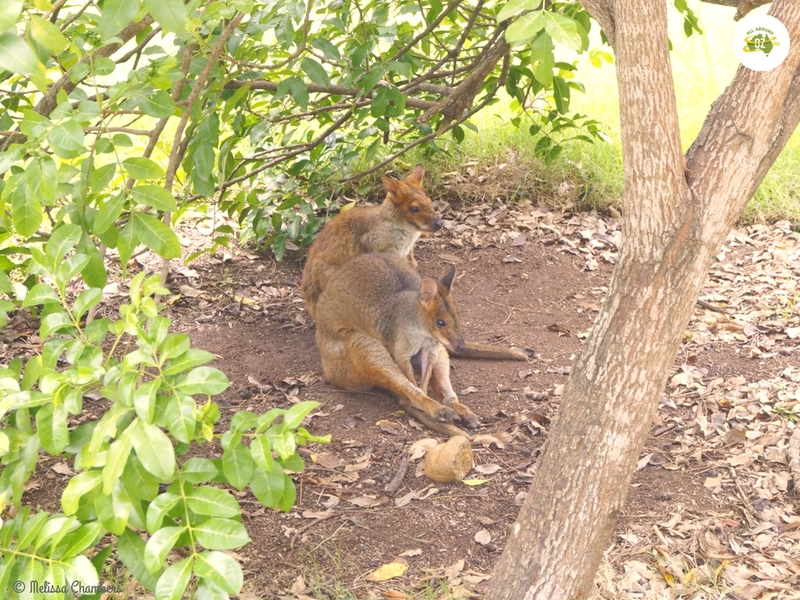 A couple of Pademelons taking advantage of a shady tree. After your visit to the Zoo you will have no trouble finding a shady tree and some green grass to enjoy a picnic on. 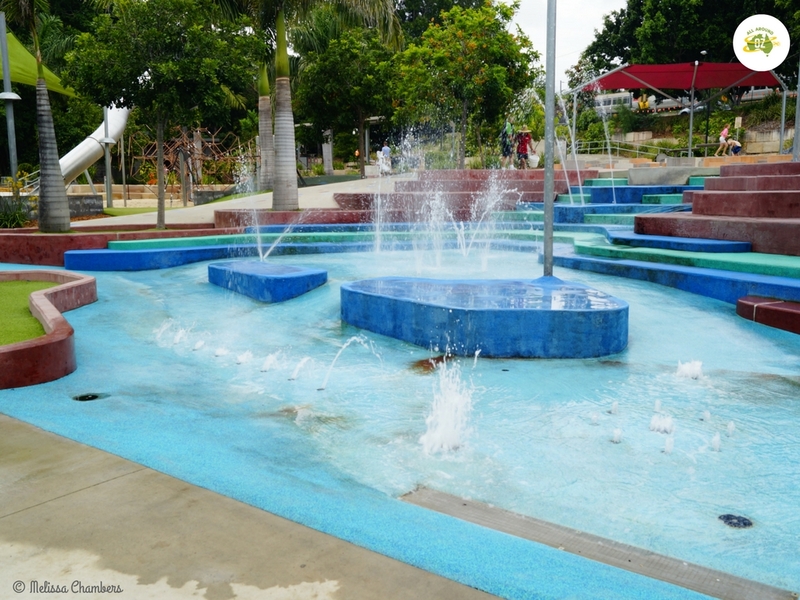 The kids will love the huge playground that is located in the park and caters for all ages. Just near the park is a great coffee shop that offers medium priced meals. You can also take a stroll through the lovely Nerima Gardens which are beautiful Japanese style gardens. Tucked into the corner of Queens Park, they are a peaceful spot to relax in. Another great park is the River Heart Parkland which includes an awesome water play area and is located right on the banks of the Bremer River. Ipswich is rapidly gaining a reputation for great food. There are plenty of coffee shops and restaurants in the area for you to check out as well. If you happen to have any train enthusiasts in your family then a visit to The Workshops Rail Museum is a must. Part of the Queensland Museum Network, it is Australia’s oldest railway workshop still in operation. They have some great free activities available, especially during the school holidays. Also at Ipswich you will find the Amberley RAAF Base. Their Heritage Museum is open to the public by appointment or on the third Sunday of the month. You will need to provide your personal details to visit the Museum as it is located within the RAAF base. It’s an extremely interesting place to visit. Run by a team of volunteers the museum continues to grow, with many pieces being restored for display. 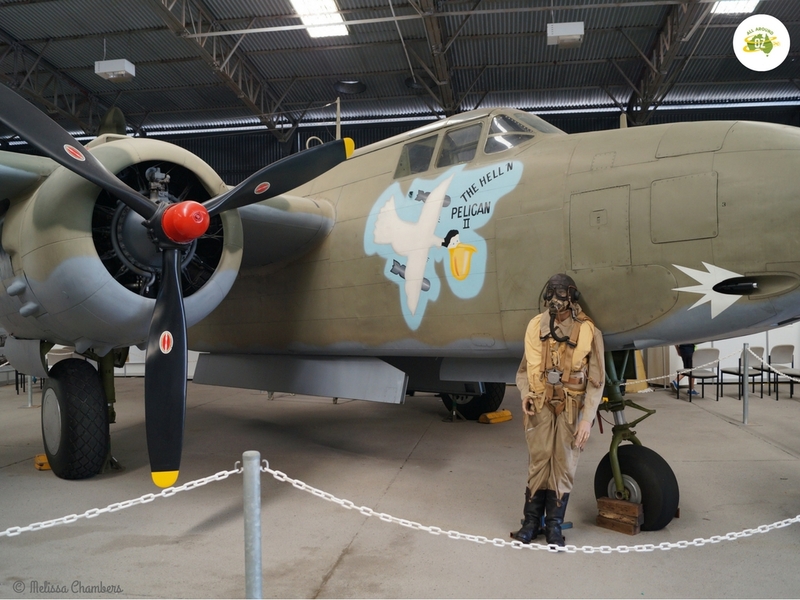 Just one of the numerous planes on display at the RAAF Heritage Museum at Amberley RAAF Base. For motor racing enthusiasts, the Queensland Motor Sport Museum is also located in Ipswich. Owner Ian Bone, has an awesome collection of cars and race memorabilia for you to browse through. He is more than happy to show you around and chat about is awesome collection. Ipswich boasts a couple of great looking B & B’s and there is a caravan park located not far from the Queensland Raceway. But in my opinion, you can’t beat Hardings Paddock Campground. Located just 20 kilometres out of Ipswich towards Boonah you will only pay $15.00 a night for up to six people. If you are into horse riding, mountain biking or bush walking then this is the spot for you. It is a bush style campground with eight designated camp sites. It has a large camp kitchen with BBQ’s, tables and a sink. There are three long drop toilets and shower cubicles if you have your own shower bag. There is also a central fire pit where you can gather with your fellow campers. 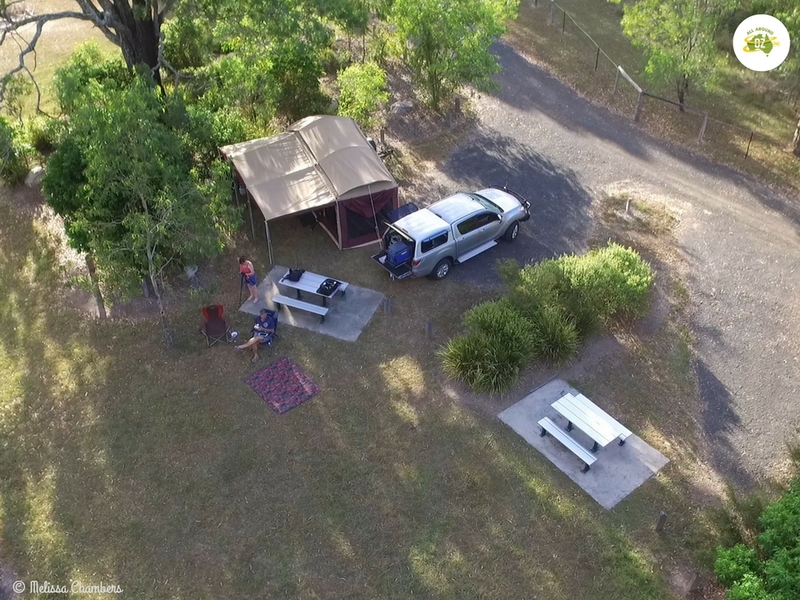 An aerial shot of our campsite at Hardings Paddock. It won’t be long before we plan another trip to explore some more of the Ipswich area.